Meet & hear from Fringe Directors & Producers from around the world. Join the discussion, gain insights & find out how to tour this rich circuit of over 250 international Fringe Festivals. Since 2006 World Fringe has introduced hundreds of Fringes who’ve enabled endless tours & opportunities! Past panellists include Directors from San Diego, Orlando, Taipei, Brighton, Prague, Hollywood, Grahamstown, Adelaide, Amsterdam, Montreal Fringes and more! A great networking opportunity. Performer? Having a great experience? Where can you go next? What touring opportunities are out there? This is a fascinating insight into a world of 250 Fringe Festivals from performers first-hand experience! Meet and hear from artists who’ve recently experienced & performed at other Fringes. The ups & downs, challenges & triumphs. What’s it all about? What do they offer? How was it for them? And should you go too? Fringes Around the World: What Fringe Next? Performer/producer? Want to tour the world? What touring opportunities are out there? A once-a-year chance to meet and hear from fringe festival directors from around the world; alongside a fascinating insight from performers who have been there and done it! Join the discussion and get the insights, hear and share how to take part and how they differ to the Edinburgh Festival Fringe. Come and get the answers you need to tour internationally on the fringe circuit. Come to listen or come to share. Everyone welcome! Global Fringe meet of Fringe Festival producers and decision makers. Hosted by the Edinburgh Fringe. Street Arts – Where To Go Next? What opportunities are out there in the Street Art sector? Join the discussion on current trends, overcoming issues and hear about new opportunities. A chance for programmers of outdoor work to meet the performers and share ideas. Hear from a panel of industry professionals about career development opportunities, touring destinations and how to progress and reach new audiences. A great networking opportunity with like-minded people – Street Artists and programmers welcome! Breakout sessions aimed at Street and Outdoor Arts. Concentrating on career development and touring opportunities. The event will focus on topics such as where to go next, show reels, legal issues, funding for artistic development, partnership working and where/how to develop your craft. Network with some of the UK’s leading Outdoor and Street Arts development platforms, bookers and support networks. Now in it’s 11th year – this is a chance to meet and hear from Fringe Festival directors & producers from around the world. Join the discussion and get the insights, hear how to take part and how they differ to Edinburgh Fringe. Come and get the answers you need to touring international on the Fringe circuit. Past panellists have represented Fringes include San Diego, Brighton, Hollywood, Grahamstown, Adelaide, Amsterdam, Montreal and more! Performer? Where can you go next? What touring opportunities are out there? A fascinating insight into other Fringe Festivals from a performer’s point of view! Meet and hear from performers who have recently experienced other Fringes. The ups and downs, challenges and triumphs. What’s it all about? What do they offer? How was it for them? And should you go too? The Edinburgh Festival Fringe was the world’s first Fringe back in 1947. Fast forward 70 years there are now more than 200 Fringes worldwide. 2017 marks 70 years since the birth of the Fringe concept. Now in it’s 10th year – this is a chance to meet and hear from Fringe Festival directors & producers from around the world. Join the discussion and get the insights, hear how to take part and how they differ to Edinburgh Fringe. Come and get the answers you need to touring international on the Fringe circuit. We apologize about the quality of this video. It was filmed sideways for a couple of minutes then the internet kept dropping out. London Fringe ASSEMBLY is a networking event of Fringe Festival producers and managers. 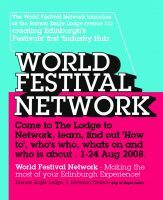 Hosted by World Fringe it includes discussion led workshops for local, national and international Fringe festival leaders. The invited gathering of industry professionals will share knowledge, learn about best practice, address current issues and strengthen their organisations. Professional development and cultural connection will be at the heart of the ASSEMBLY, and encouraging the generation of quality performance as the goal. Performers where should you go next? What touring opportunities are out there? A fascinating insight to other Fringe Festivals from a performer’s point of view. Meet and hear from performing companies and venues who have recently experienced other Fringes. The ups and downs, challenges and triumphs. What’s it all about and what do they offer? How was it for them and should you go too? Performers join a discussion set up specifically for Street and Outdoor Artists, to hear from a panel of industry professionals about career development opportunities, touring destinations, how to progress and reach new audiences. This talk is a chance for programmers and festivals who book outdoor work to meet the artists and hear the issues. A great networking opportunity with like-minded people – Street Artists and programmers welcome! A chance to meet and hear from Fringe Festival directors around the world. Join the discussion and get the insights, hear why they’re important and how they differ. Ask a question on how you could take part and tour to more destinations. Past Fringes include San Diego, Brighton, Hollywood, Grahamstown, Adelaide, Amsterdam, Montreal and more! Come meet the Fringe producers – a great networking opportunity. A networking event of Fringe Festival producers and managers. Hosted by World Fringe it includes discussion led workshops for local, national and international Fringe festival leaders. The invited gathering of industry professionals will share knowledge, learn about best practice, address current issues and strengthen their organisations. Professional development and cultural connection will be at the heart of the ASSEMBLY, and encouraging the generation of quality performance as the goal. Performer? Where should you go next? What Touring opportunities are out there? A fascinating insight to other Fringe Festivals from a performer’s point of view! Hear from, and meet, performing companies and venues who have recently experienced other Fringes. The ups and downs, challenges and triumphs. What’s it all about? What do they offer? How was it for them? And should you go too? A once-a-year chance to meet and hear from Fringe Festival directors around the world. Join the discussion and get the insights, hear why they’re important and how they differ. Ask a question on how you could take part and tour to more destinations. Past Fringes include San Diego, Brighton, Hollywood, Grahamstown, Adelaide, Amsterdam, Montreal and more! Come meet the Fringe producers – A great networking opportunity. A useful initiative set up specifically to enable Street Artists to hear from a panel of programmers and festivals who book and tour Street Artists. Come and hear about career development opportunities, touring destinations and how to progress and reach new audiences. Format: Panel discussion followed by Q&A. A great networking opportunity with like minded people – Street Artists and programmers welcome! A once-a-year chance to meet and hear from fringe festival directors around the world. Join the discussion and get the global insights, hear why they’re important and how they differ. A great networking opportunity. Performer? Where should you go next? Fascinating insight to a Fringe festival from a performers point of view! Hear from, and meet, performing companies and venues who have recently experienced other Fringe festivals. The ups and downs, challenges and triumphs. What’s it all about? How was it for them? >Where should you go next? A fascinating insight to a Fringe festival from a performers point of view! Starting in 2006 this is a once-a-year chance to meet and hear from fringe festival directors around the world. Join the discussion and get the global insights, hear why they’re important and how they differ. A great networking opportunity. This panel discussion is now going into its 4th year. It’s hosted by the World Festival Network, who invites a panel of Fringe managers from around the world to discuss their festival. Though out the talk we discover the differences between the Fringes, what the trends are, what works and what doesn’t. In 2010 nearly 200 people attended the event from performers to producers and agents. The festivals on the panel have created a network between them and synergies have begun. A lot of positive feedback was given by the festival staff, performers, agents and media who attended. Past panel members: Ben Hill – Hollywood Fringe, Steve Gove – Prague Fringe, Barry Church Woods – Edinburgh Fringe, Anneke Jansen– Amsterdam Fringe, Tony Lankaster & Ismail Mahomed – Grahamstown Fringe, Greg Clarke and Christy Anthony – Adelaide Fringe, Stuart Every – Dubai Fringe, Patrick Goddard – Montreal Fringe, Wolfgang Hoffman – Dublin Fringe. The inaugural World Fringe Congress will bring together Fringe directors and organisers from around the globe, during the Edinburgh Festival Fringe. With generous support from the City of Edinburgh Council and Creative Scotland, the World Fringe Congress is an important part of the cultural and sporting celebrations taking place in the UK in 2012 [and is an official event of the Cultural Olympiad]. The Congress aims to inspire the Fringe community and foster international collaboration through a mix of discussion and networking events. There will be a chance for Fringes to meet Edinburgh participants and wider cultural leaders to raise awareness of the scale and importance of Fringe activity on the world stage. The mission of the Congress is to create a lasting network and a real sense of how Fringes can work together to achieve all our aims. We welcome delegates from across the globe to join us on this exciting new journey. The Congress takes will be free for Fringe staff and representatives to attend and some bursaries will be available to support delegates travelling to the event. Continuing BAFA’s successful single interest series of seminars, Holly Payton and Cath Mattos from World Festival Network will lead an afternoon forum designed especially for Fringe Festivals. Whether you already are involved with a Fringe, are just in the planning stages – or anywhere in between – then join us for a lively afternoon with colleagues who face the same challenges as you do – every day. The numbers, the different structures, the trends and the networks that exist already. Analysis of what the main points are of running a Fringe. What is a Fringe & why is it important for a City? World Fringe shared a post. #BathFringe website now live. Check it OUT! Great place to go perform and/or visit! #FringeFamily #WorldFringe #fringeFestival @BathFringeBREAKING NEWS – The Bath Fringe Festival Website is now LIVE! The fringe team have been extremely busy beavering away behind the scenes over the weekend to enable the finishing touches of the site to happen so that we can go live today.